We want to recommend you the best cruises and trips both by sea and land departing from Portoverde Marina Resort. Follow our recommendations and see what to do in Misano Adriatico and its surroundings. Vallugola Bay – A natural creek rising between two headlands looking out over the sea. This is Baia Vallugola, between Gabicce and Castel di Mezzo. A unique natural wonder featuring a small tourist harbor and a pebble beach. A peaceful paradise with pristine waters and a little bay at the feet of Monte San Bartolo. 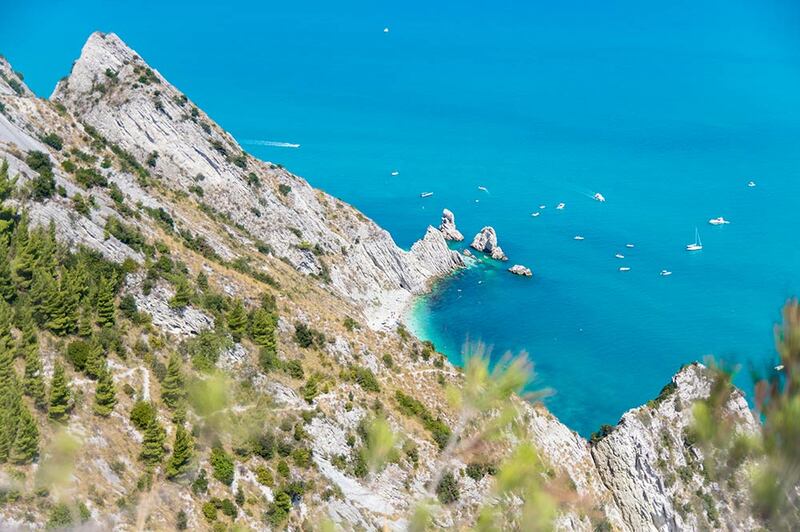 La Riviera del Conero (The Conero Coast) – This protected natural area lies in Marche, in the province of Ancona. A unique scenario where greenish mountains, blue skies and clear waters meet giving shape to a magical place. If you come to the Conero Coast, we recommend you to visit Spiaggia delle Due Sorelle (Two Sisters Beach), a white and untouched beach. Venice – The beautiful city of Venice is only 94 miles far from Marina harbor. Venice is a city that can be travelled along 170 waterways in compliance with the navigation rules. The Croatian coast – The Croatian coast is divided up into three regions: Istria, Kvarner and Dalmatia. 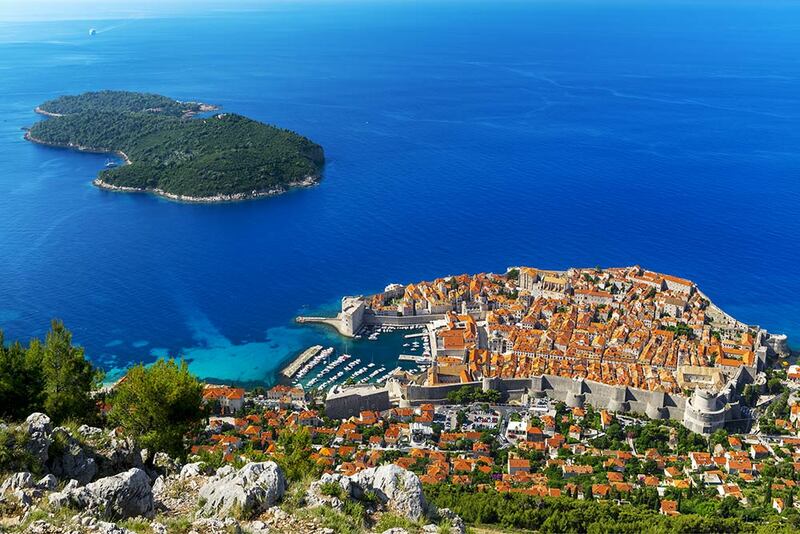 Sailing along the waters leading to Croatia means indulging in a few hours of relax and diving into a pristine sea. Here are the main distances from Il Marina: Lussino 78 miles, Rovinj 77 miles, Pula, 71 miles. Conca Fauna Oasis - Reachable on foot or by bike thanks to its cyclo-pedestrian paths unfurling along two river shores, the Conca Fauna Oasis is home to an ornithological observatory from which you can marvel at water birds. The rare species which you can spot are white and black storks, pelicans and great white egrets. Gradara – Moving a few kilometers towards the inland, you will reach the wonderful medieval village of Gradara. From its well-know castle, visitors can enjoy a breathtaking bird’s eye view. The castle is known for having been the backdrop of the love story between Paolo and Francesca told by Dante. Exhibitions, shows and events for all age groups are annually held in Gradara. Riccione – Regarded by everyone as the Green Pearl of the Adriatic Coast, Riccione is a very popular and exclusive destination. Here you will be able to admire the shop windows of Viale Ceccarini’s boutiques, spend an evening in its renowned discotheques or simply enjoy the sea view while sipping a sunset cocktail in one of the seafront pubs. San Marino – The world’s most ancient Republic rises a few kilometers away from Misano. Its historical center lies at the peak of Monte Titano (Mount Titano) and features three towers from which it you can marvel at a breathtaking view over the whole Coast. A fairy-tale world filled with monuments of rare beauty like the Palazzo Pubblico (Public Palace), la Cava dei Balestrieri (Balestrieri Cave) and la Porta del Paese (The Country’s Gate). Acquario di Cattolica (Cattolica Aquarium) – just 1 km from us lies the most loved Aquarium across the Adriatic coast! At Cattolica Aquarium you will be able to admire fish and marine species coming from every corner including sharks, penguins, otters and turtles. Come and enjoy a day holding your head up, marveling at its fish tanks and discovering in person some of the world’s nicest marine species. Aquafan – Raise your hand if you have never heard of Aquafan! Italy and Europe’s best known water park awaits you in Riccione with games and attractions for kids and young guys of every age. Among the most thrilling attractions, restricted to younger kids, we recommend the Extreme River, the Black Hole and the Kamikaze. Not to mention the wavy pool, entertainment and new shows every day. Oltremare – Located in Riccione, right next to Aquafan, Oltremare is the theme park dedicated to all who love animals and nature. Here you will have a chance to admire dolphins, explore the marine world and attend birds of prey’s pirouettes. There is also a farm where you can closely observe the animals living there. Autodromo di Misano (Misano Circuit) – every year in early September, the Gran Prix of San Marino and the Rimini Coast takes center stage in Misano. But during the year, the Misano World Circuit is also home to superbike and truck competitions. The circuit can accommodate up to 70.000 spectators and is open to races or road tests. Riviera Horses – an ultra-modern equestrian center stretching across a surface of 120.000 m2. The center hosts national and international horse races but you can also visit the town center to admire the beauty of this area nestled into the greenery or to dine at Rivierino, an elegant restaurant with a view of the field. Riviera Golf – Located a few minutes from us, Riviera Golf is a place where sport and relax meet. It is a sports complex plunged into a greenish fauna oasis with a 18-hole course and a second one with 9 executive holes. There is also an indoor driving range, putting green, pitch and bunker green.